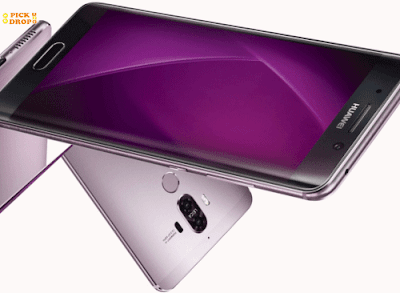 Premium Looks with Curved Display. 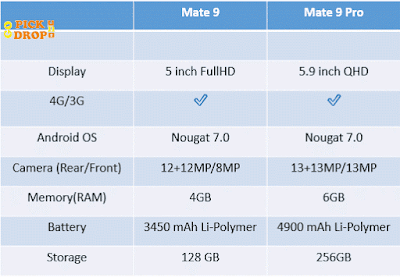 Mate 9 got 4GB & Mate 9 Pro got 6GB RAM with onboard storage choice of 128 GB and 256 GB. Dual Camera with Leica Lens and Dual LED Flash with Standard Optical Image Stabilization And 4x Optical Zoom which is Quite good For a Mobile Camera. 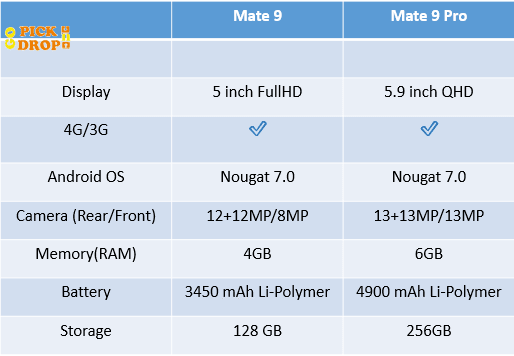 Mate 9 Got Full HD Display(1920*1080) and Mate 9 Pro got Quad HD Display(2560x1440) with curved displays. Finger Print Sensor at Back. Both got the Same Camera which was present in Huawei p9. Overall we can Wrap it up as a Perfect Replacement for Your Samsung galaxy Note 7 in terms of camera , Performance, and Premium Looks.